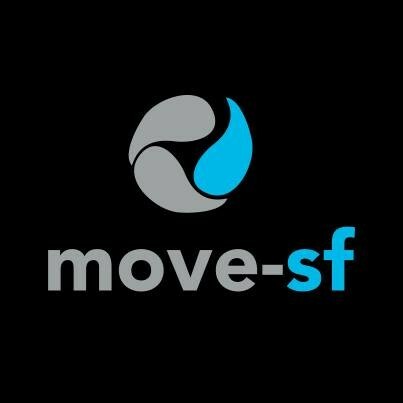 Start taking classes at move-sf and other studios! A mash-up of training styles, this intense class combines strength/sculpt work and the high intensity Tabata Protocol. It will smoke your whole body and leave you breathless. Starting with a total body warm-up, the class then intensifies as you lift heavy and squat deep to build the ultimate body. The class utilizes Dumbells and Kettlebells, and may incorporate gymnastics rings, clubbells, and medicine balls. After 2 mini circuits of weightlifting, the class moves on to the high intensity Tabata Protocol. Two 4 minute blocks of intense cardio work that will have your heart pounding. The class always finishes with a total body stretch segment. You'll be guided by our amazing instructors, who are also certified personal trainers. They understand proper form, and the small size of the class allows them to keep an eye on everyone. There are no upcoming “movement mash-up” classes on this day. At move-sf we have a "shoes optional" policy for classes in our room called "the pit", and we ask that you do remove your shoes for classes in our "flow room." move-sf has two different group fitness areas: the “flow room” and “the pit.” The flow room is located upstairs and is a "no shoes" room; grips socks or barefoot is best. It has padded martial arts mats for flooring. The pit is located downstairs and is shoe optional. It has plyometric rubber flooring (a bit spongy). The majority of people wear shoes in "the pit." Matt is great, love the focus on form in his classes! Natalie was a great instructor. Excellent class and solid well rounded workout. Lindsay was great! Loved her music choices. Class was challenging and I really got a sweat on. Will be back!